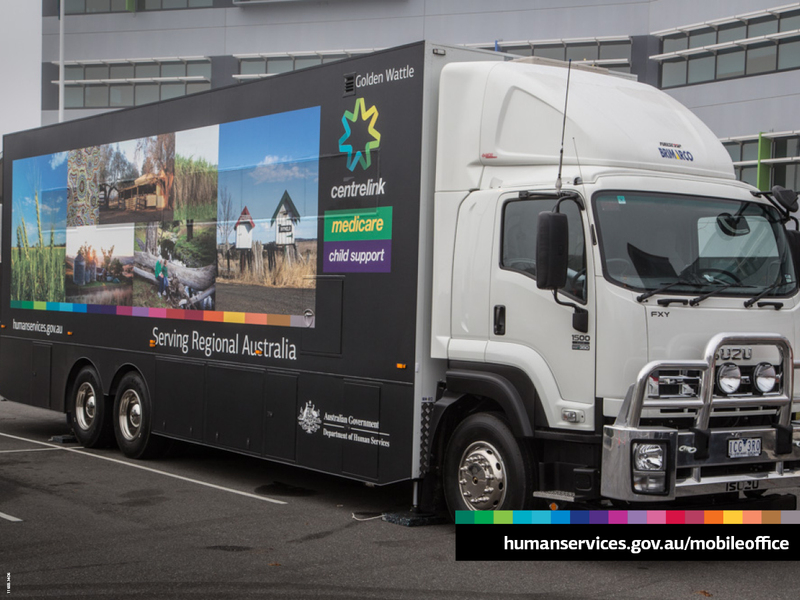 The programme provides three year traineeships with the department and employed 11 people in Adelaide and 13 people in Brisbane throughout 2015. The new trainees commenced in early 2016 and are performing roles in ICT while developing valuable work skills in a professional environment. One of those trainees, Damien said the traineeship is providing him the motivation to lead an independent lifestyle which has been difficult in the past. 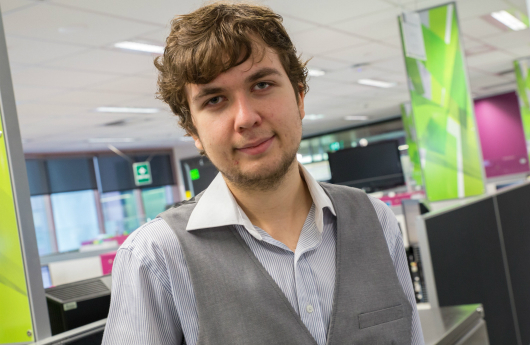 Damien and the other Dandelion trainees in Canberra, Brisbane and Adelaide work with their departmental colleagues to deliver systems that support the millions of Australians who use our services every day. Specialisterne founder Thorkil Sonne said his organisation aims to enable one million jobs for people with autism worldwide. 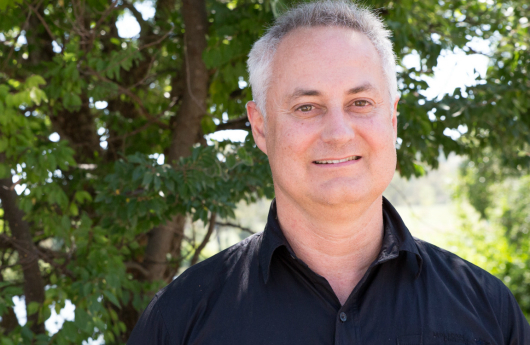 “The successful implementation of the Dandelion programme with the Department of Human Services and Hewlett Packard Enterprise is an important step to reach our goal of 12,000 jobs for people with autism in Australia,” Mr Sonne said. Dandelion trainee Peter recently commenced in Canberra and said the wage he is earning now is allowing him to provide for his family much more than his previous job driving taxis. “Earning a decent wage is rewarding when you have the skills and ability,” Peter said. 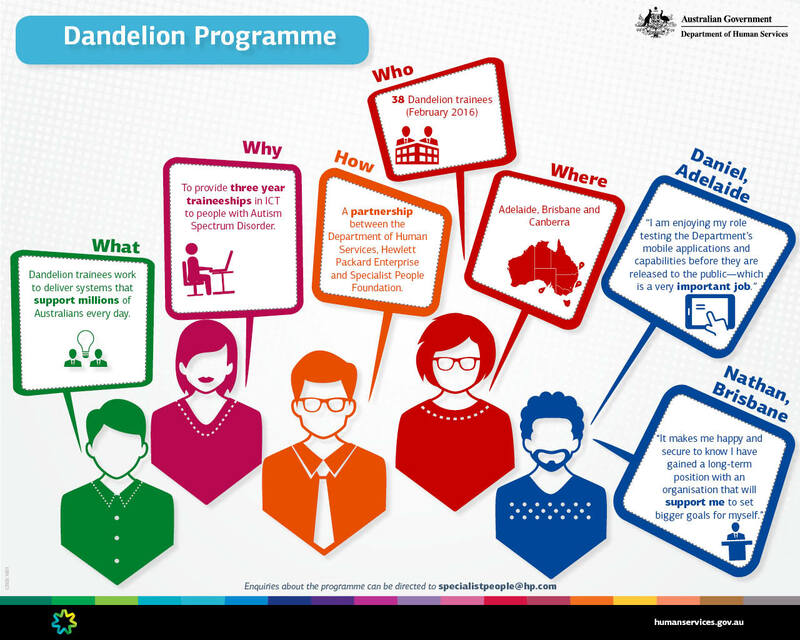 The recruitment and induction processes for the Dandelion Programme enables the applicants to demonstrate their strengths in a supportive environment. “The selection process included exercises where either individually or as a team we built and programmed Lego robots. The projects that people came up with were really impressive!” Peter said. 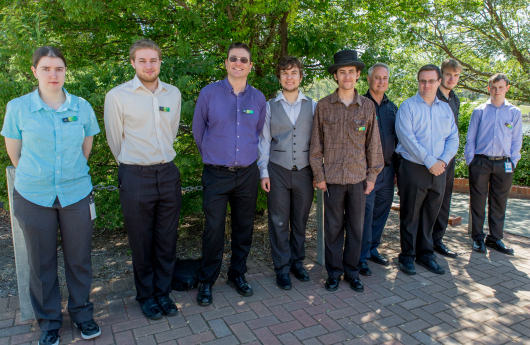 The Dandelion trainees are role models who demonstrate how autistic people can realise their full potential in the workforce and contribute to their local communities.